This is the music to be fully immersed into; cutting deep into your neural system, at first threatening, scary and unnerving and then as if breaking an internal fuse set against this type of assault, it takes you for a ride through beautifully twisted other-dimensional wasteland inhabited by souls yearning for TRUE, REAL and UPLIFTING experience, trying to elevate themselves from the all-encompassing urban decay and numbness. 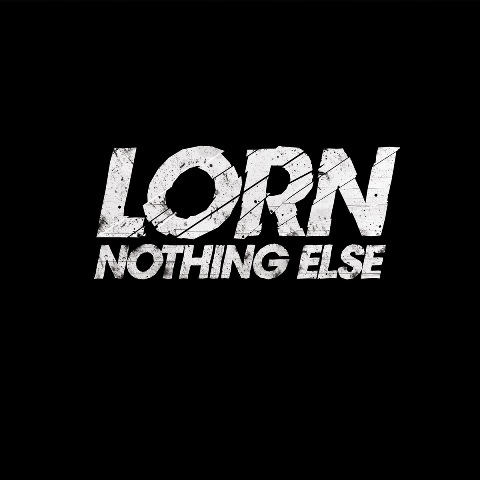 Being a fan of post-apocalyptic books, movies and games I buy Lorn’s set-up wholesale, including neurosis and intense feeling of loneliness and despair which seems to prevail across the entire album. I perfectly understand this type of neurotic melancholia – I feel this way more and more often recently. This is the music created by a troubled soul for troubled souls. However, Nothing Else should not be interpreted only in terms of moral dualism of good vs. evil or as a nihilistic manifesto. It offers much more music-wise and concept-wise. Lorn is a fantastic beatmaker and his tracks are multi-layered compositions with all the details polished like chrome. Harsh beat and dubby sub-bass mixed with touching (or cutting) synths are perfect tools used to create the music piece you really want to start all over again after the first hearing. Moving from a much-too-short introduction of Grandfather, through military funeral march in the most depressing tune – Army of Fear (it should be rather called Army of Dead), mad and repulsive Automaton, through acid-laden Voids to reach the depths of hell of tormented souls in Tomorrow. Then, Lorn seems to release some of the tension and finally gain some peace of the mind, in the beautiful Cherry Moon or my personal highlight of the entire album, i.e. energetic and upbeat Greatest Silence. The closing, uncompromising track What’s the use is a real ode to melancholy. The moment when the distorted ghost vocal drops gives me nightmarish creeps, but I would not call this an unpleasant feeling, on the contrary. It is very REAL and RAW and reaches deeply into the depths of my soul. The "what's the use" phrase has been haunting me for weeks and when I listen to this track I have tears in my eyes. And these are tears of joy and sadness at the same time. One should cherish such works of art as this type of experience has become a luxury product in the totality of our mediated and artificial environment full of mediocre copy-cats and untalented mainstream starlets. Take you all this record and listen to this, the reward will come sooner than you expected. Buy this record directly from Lorn (in LP or CD format) - this man deserves all the support from his fans. Check Brainfeeder site for all the details, including list of stores where you can buy this amazing release. LORN : NOTHING ELSE from StrangeLoop on Vimeo.